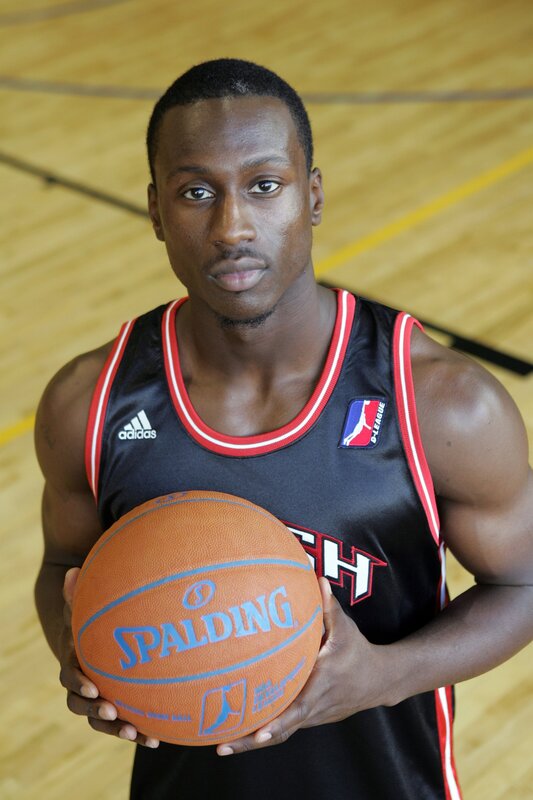 LEHI, UT - NOVEMBER 13, 2007: Andre Ingram poses for a portrait during D-Leaque media day for the Utah Flash. 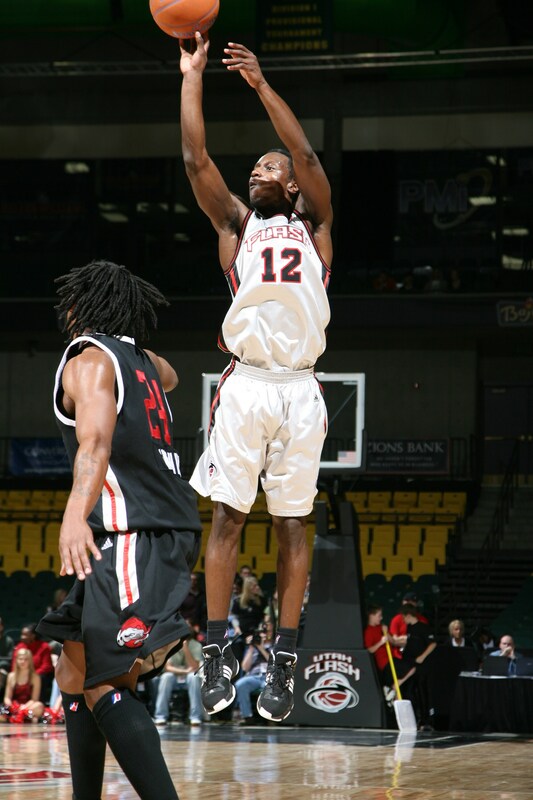 OREM, UT - JANUARY 9, 2008: Ingram puts the shot up against the Rio Grande Valley Vipers. 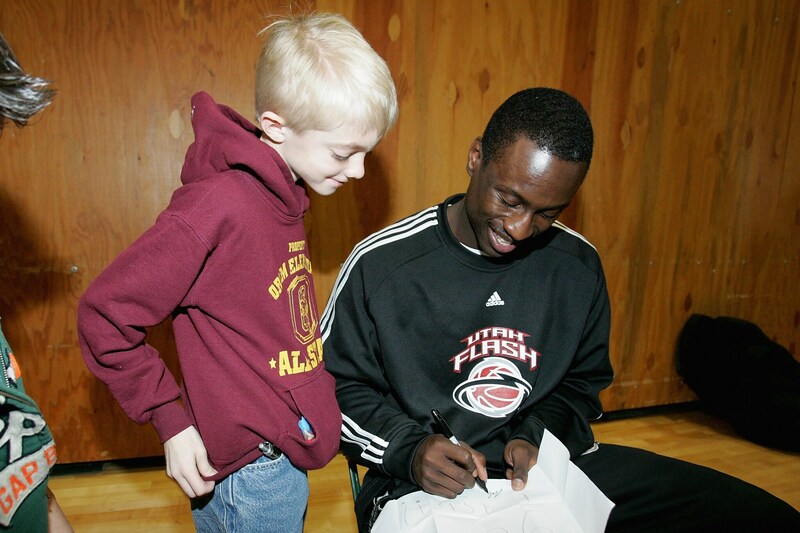 OREM, UT - JANUARY 7, 2009: Ingram signs autographs during a Read To Achieve event during the 2009 NBA D-League Showcase. 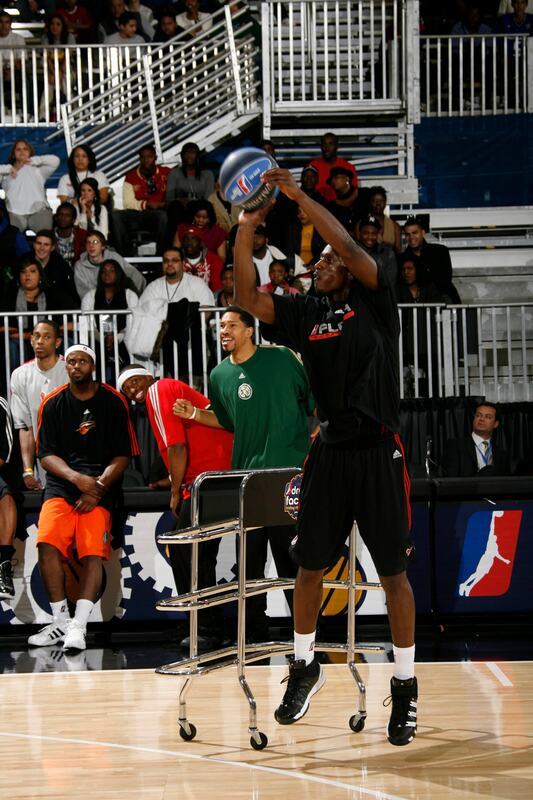 DALLAS, TX - FEBRUARY 12, 2010: Ingram competes in the 3-Point Competition as part of the NBA D-League Dream Factory Friday Night presented by Haier on center court during NBA Jam Session Presented by Adidas. 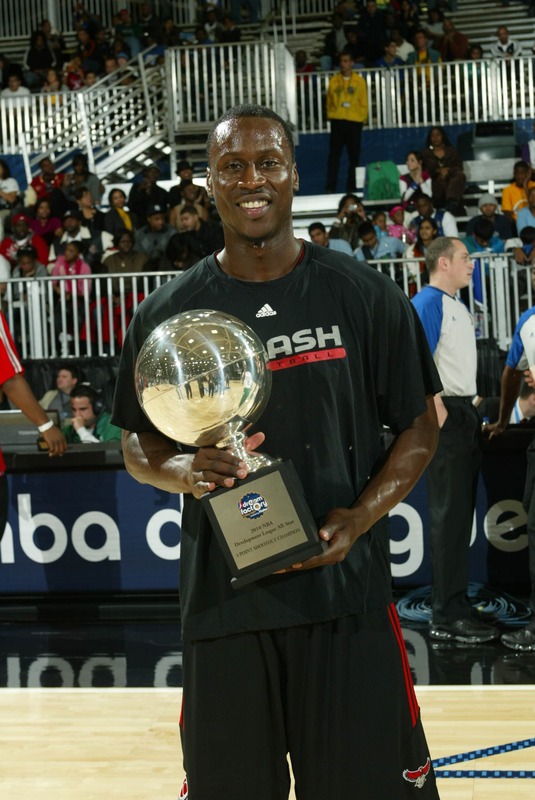 DALLAS, TX - FEBRUARY 12, 2010: Ingram poses for a portrait with the trophy after winning the 3-Point Competition as part of the NBA D-League Dream Factory Friday Night presented by Haier on center court during NBA Jam Session Presented by Adidas. 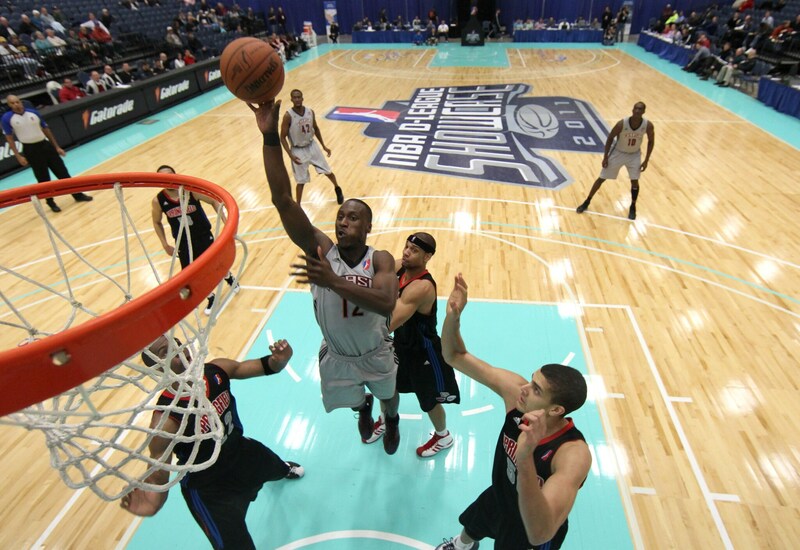 SOUTH PADRE ISLAND, TX - JANUARY 11, 2011: Ingram shoots the ball against the Springfield Armor during the 2011 NBA D-League Showcase. 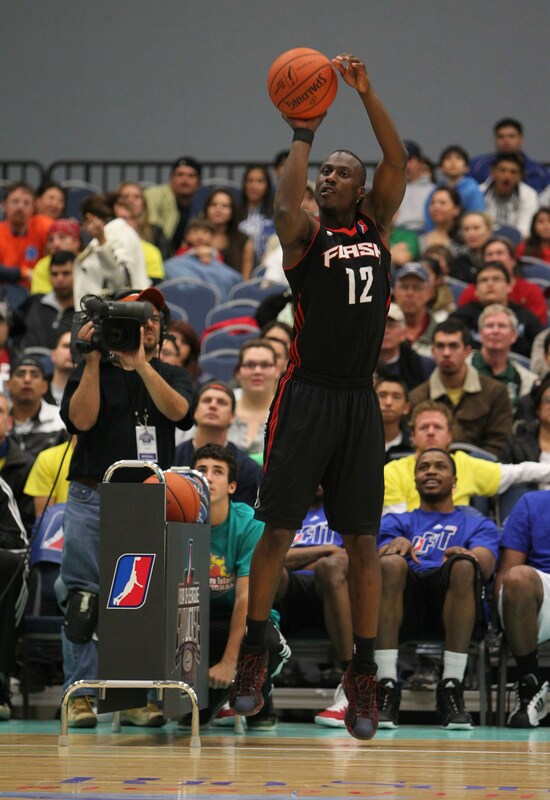 SOUTH PADRE ISLAND, TX - JANUARY 12, 2011: Ingram competes in the 3-Point Contest during the 2011 NBA D-League Showcase. 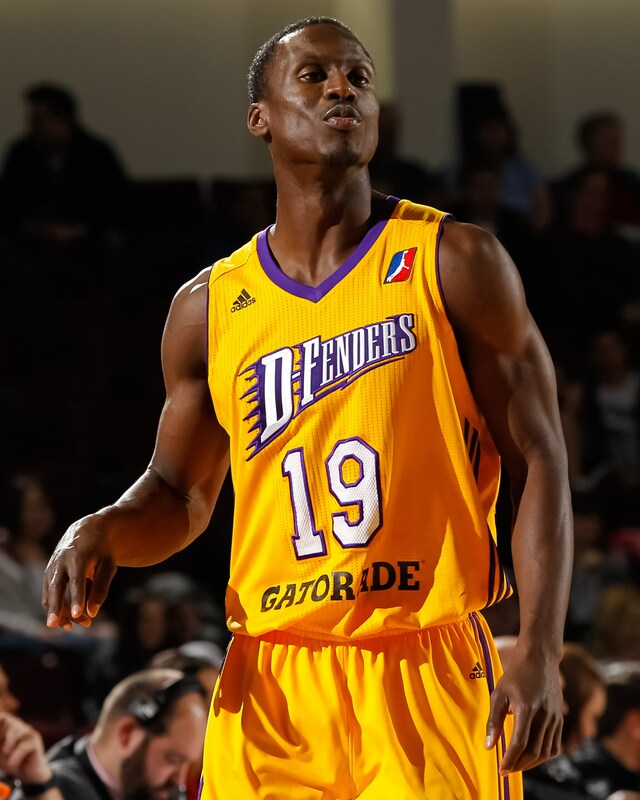 EL SEGUNDO, CA - DECEMBER 21, 2013: Ingram stands during the national anthem before the Los Angeles D-Fenders’ game against the Idaho Stampede. 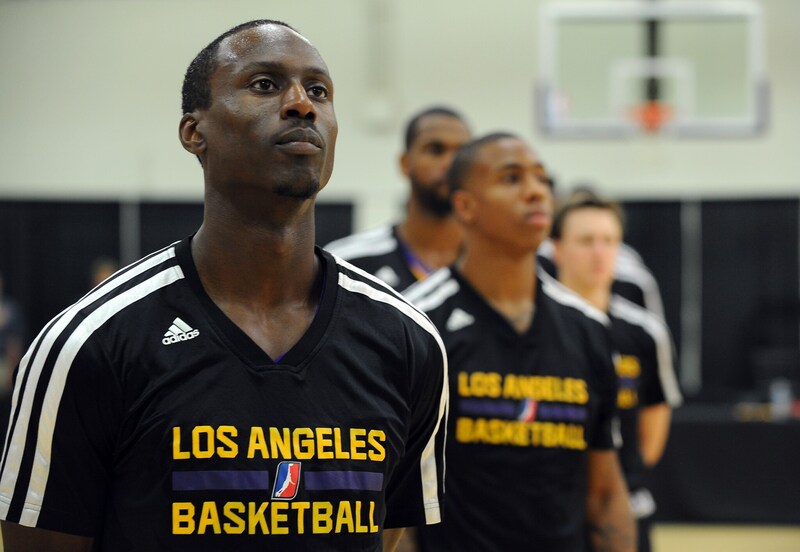 BOISE, ID - JANUARY 31, 2014: Ingram looks on during a break in an NBA D-League game against the Idaho Stampede. 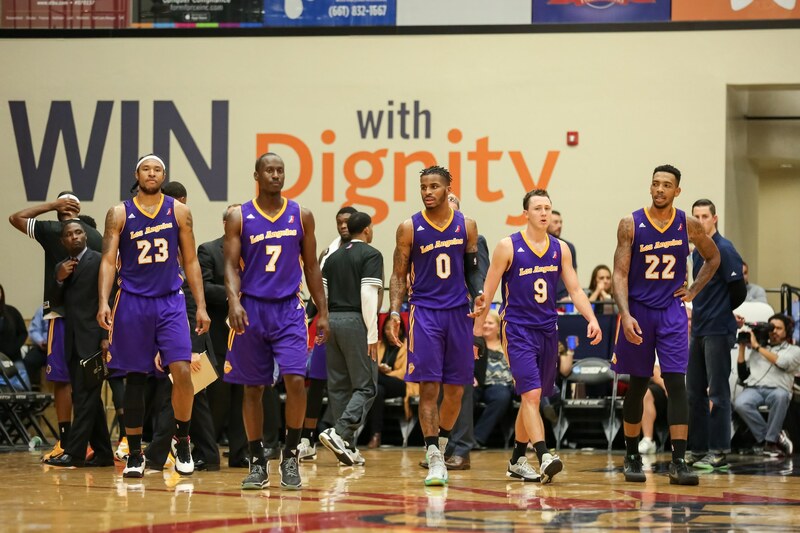 BAKERSFIELD, CA - DECEMBER 4, 2015: The Los Angeles D-Fenders walk on the court after a time out against the Bakersfield Jam. 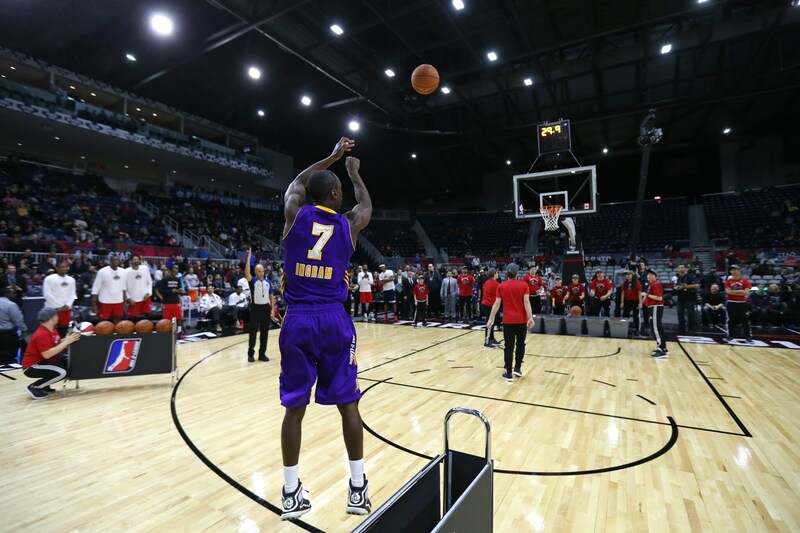 TORONTO, ONTARIO - FEBRUARY 13, 2016: Ingram competes in the 3-Point contest during the NBA D-League All-Star Game 2016 presented by Kumho Tire as part of 2016 All-Star Weekend. 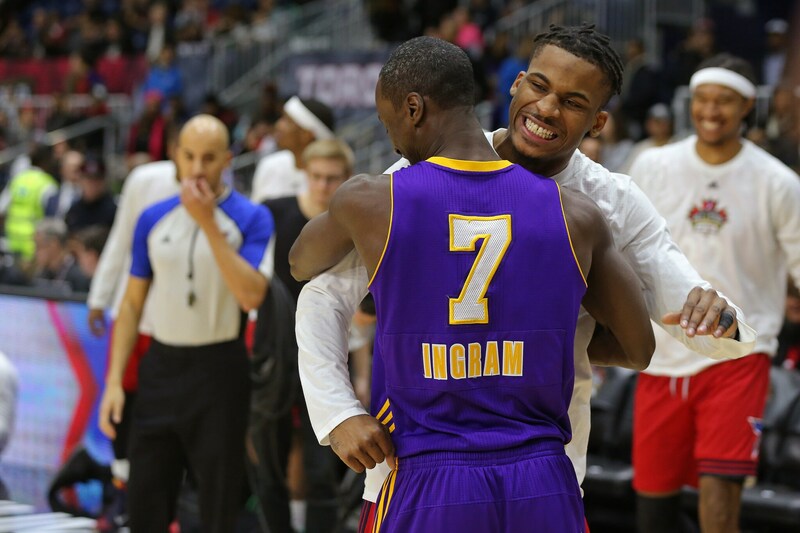 TORONTO, ONTARIO - FEBRUARY 13, 2016: Ingram celebrates after winning the 3-Point contest during the NBA D-League All-Star Game 2016 presented by Kumho Tire as part of 2016 All-Star Weekend. 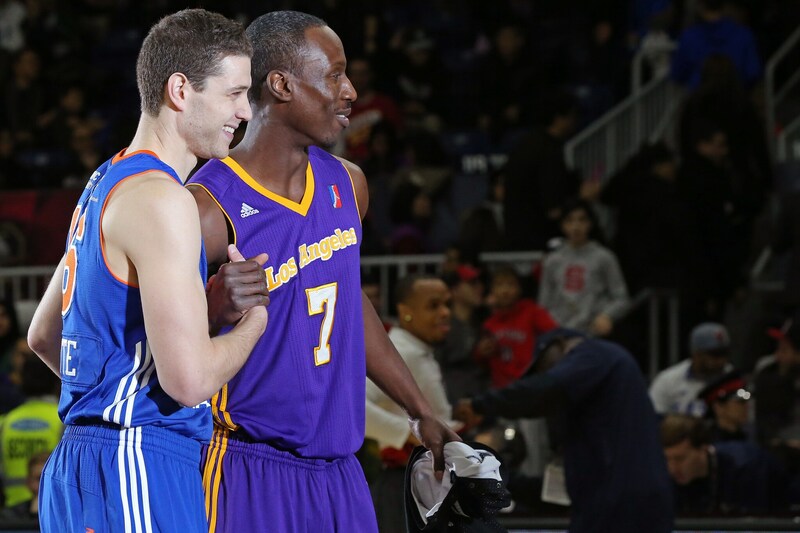 TORONTO, ONTARIO - FEBRUARY 13, 2016: Ingram and Jimmer Fredette participate in the NBA D-League All-Star 3 Point Contest, presented by Kumho Tire, as part of 2016 All-Star Weekend. 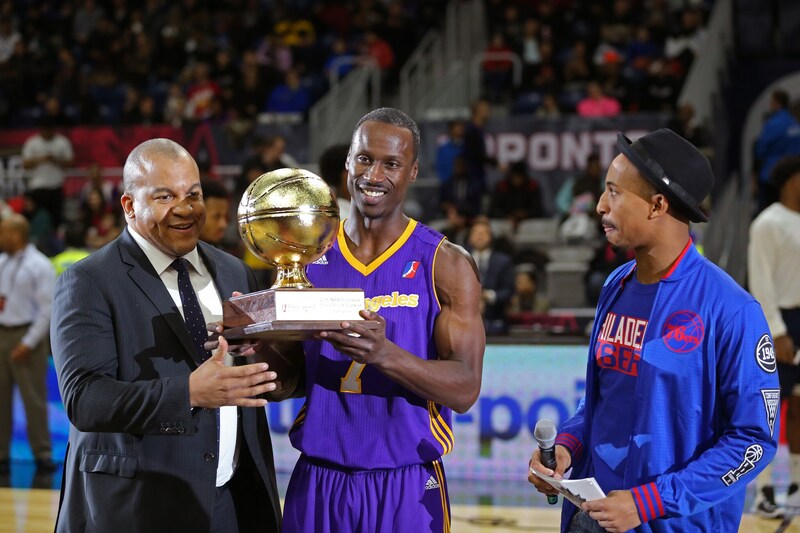 TORONTO, ONTARIO - FEBRUARY 13, 2016: Ingram is presented the trophy by NBA G League President Malcolm Turner after winning the NBA D-League All-Star 3 Point Contest, presented by Kumho Tire, as part of 2016 All-Star Weekend. 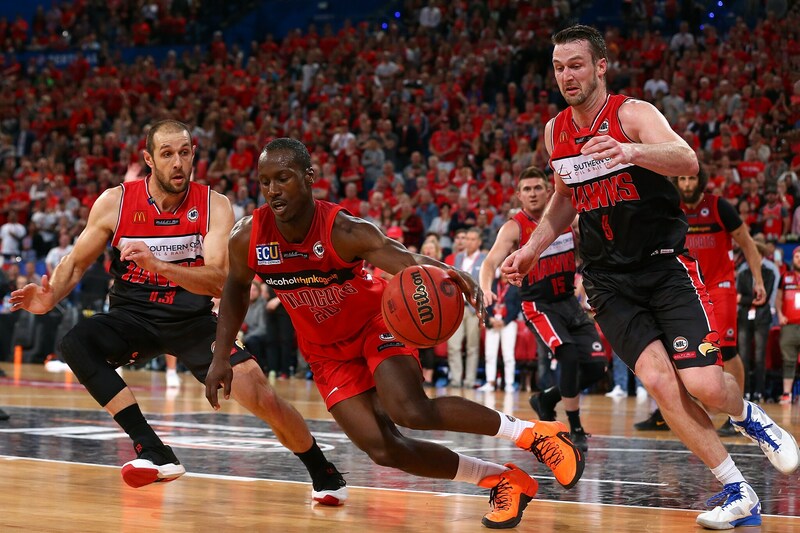 PERTH, AUSTRALIA - OCTOBER 21, 2016: Ingram of the Wildcats controls the ball against Rhys Martin and Andrew Ogilvy of the Hawks during the round three NBL match between the Perth Wildcats and the Illawarra Hawks. 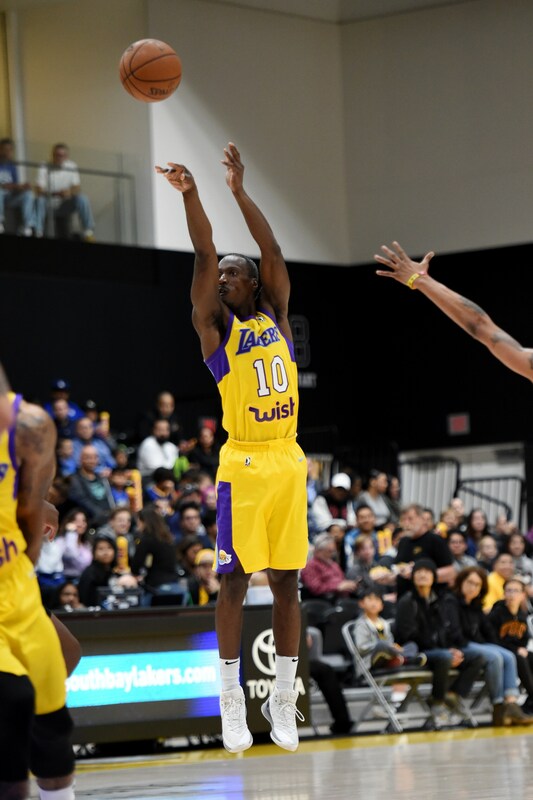 EL SEGUNDO, CA - MARCH 15, 2018: Ingram shoots the ball against the Agua Caliente Clippers during an NBA G League game with the South Bay Lakers. 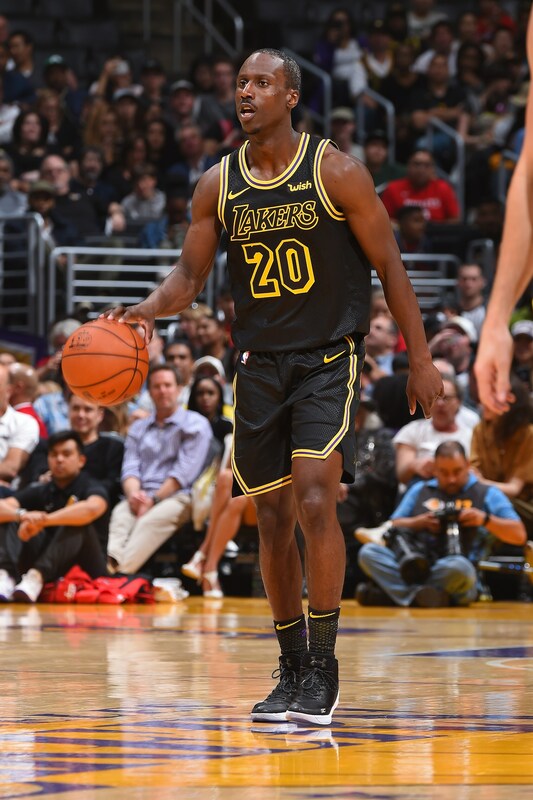 LOS ANGELES, CA - APRIL 10, 2018: Ingram poses with his Los Angeles Lakers jersey before his first NBA game, against the Houston Rockets. 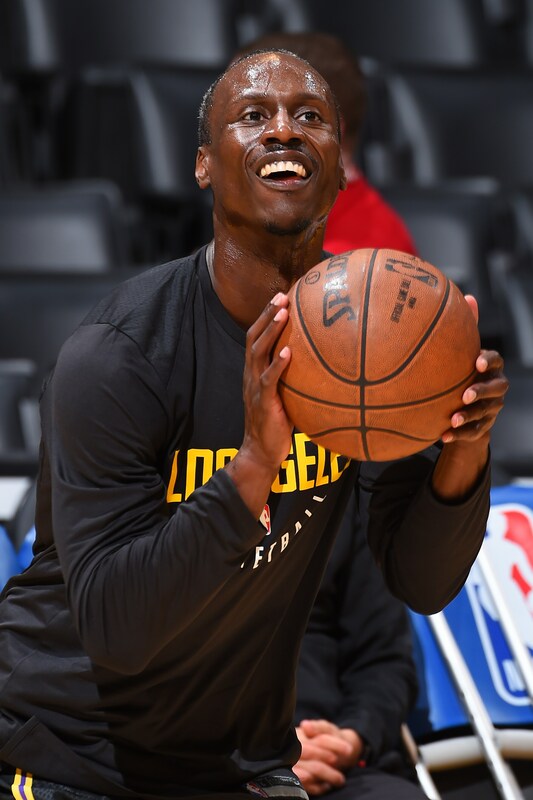 LOS ANGELES, CA - APRIL 10, 2018: Ingram warms up before the game against the Rockets. 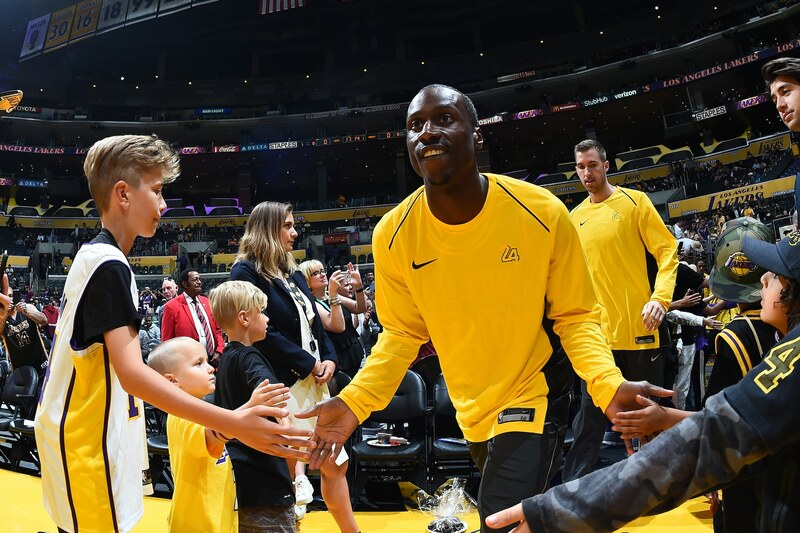 LOS ANGELES, CA - APRIL 10, 2018: Ingram high fives fans before the game against the Rockets. 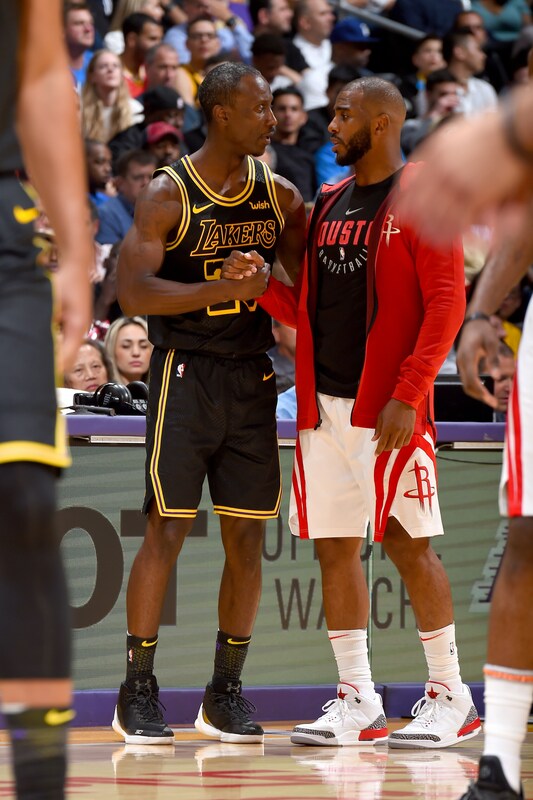 LOS ANGELES, CA - APRIL 10, 2018: Chris Paul and Ingram high five before Ingram checks into his first NBA action of his career. 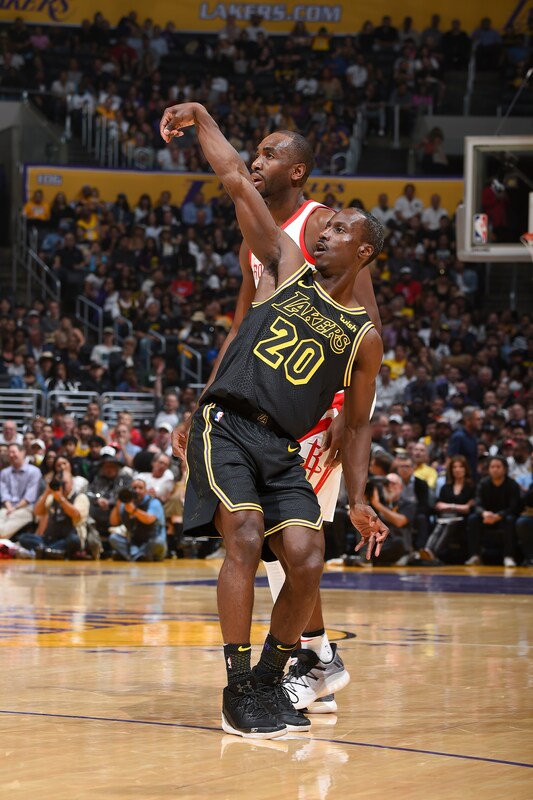 LOS ANGELES, CA - APRIL 10, 2018: Ingram shoots a free throw against the Rockets. LOS ANGELES, CA - APRIL 10, 2018: Ingram dribbles during the game against the Rockets. 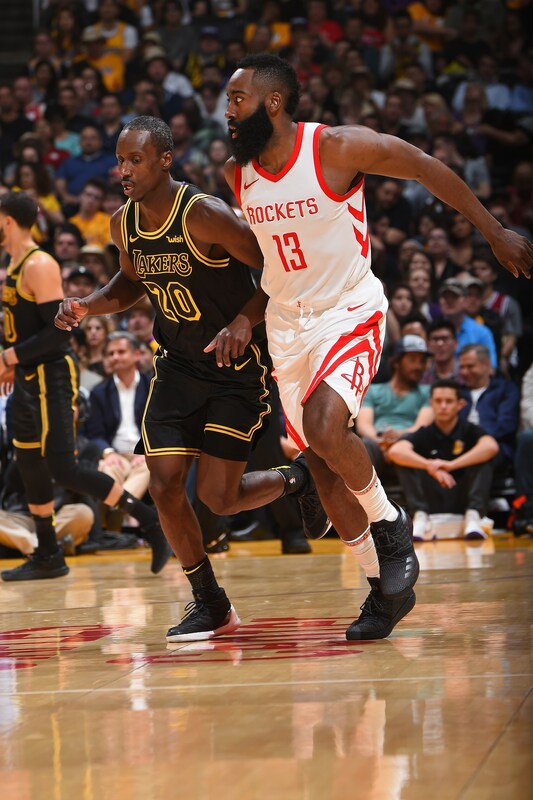 LOS ANGELES, CA - APRIL 10, 2018: Ingram and James Harden move up the court during the game. 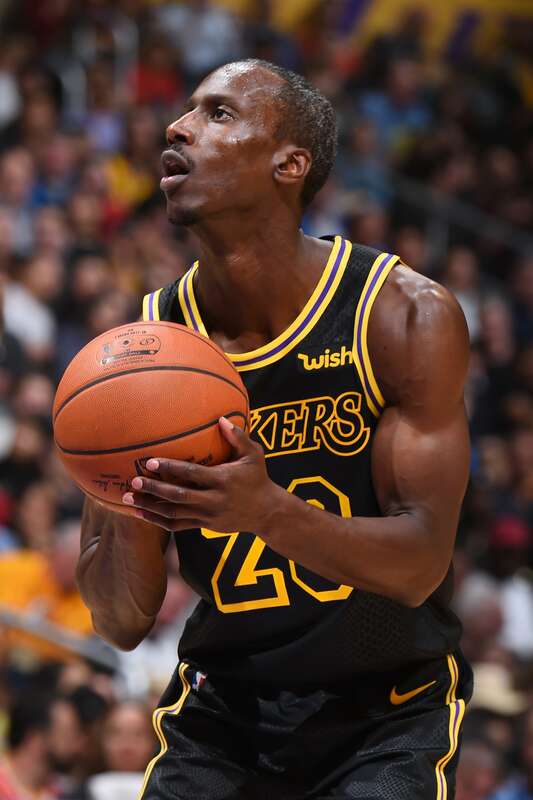 LOS ANGELES, CA - APRIL 10, 2018: Ingram follows through on a 3-pointer during his career night against the Rockets. 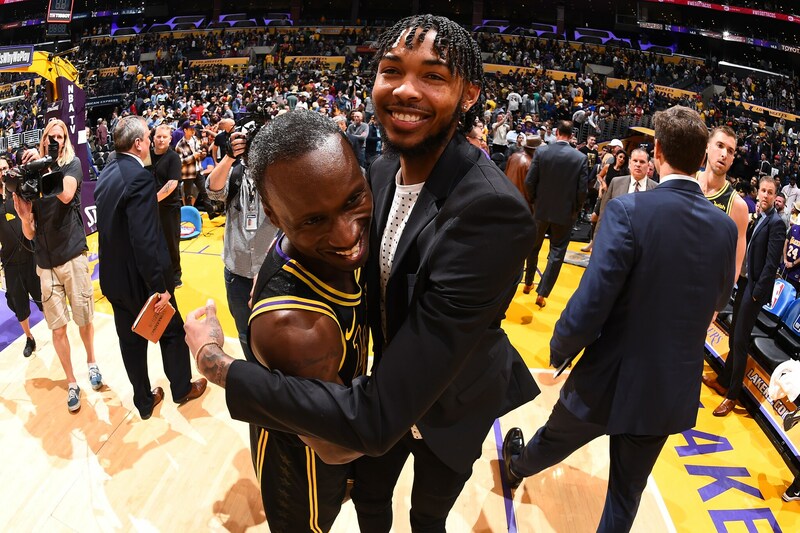 LOS ANGELES, CA - APRIL 10, 2018: Ingram and Brandon Ingram (no relation) hug after the game against the Rockets. 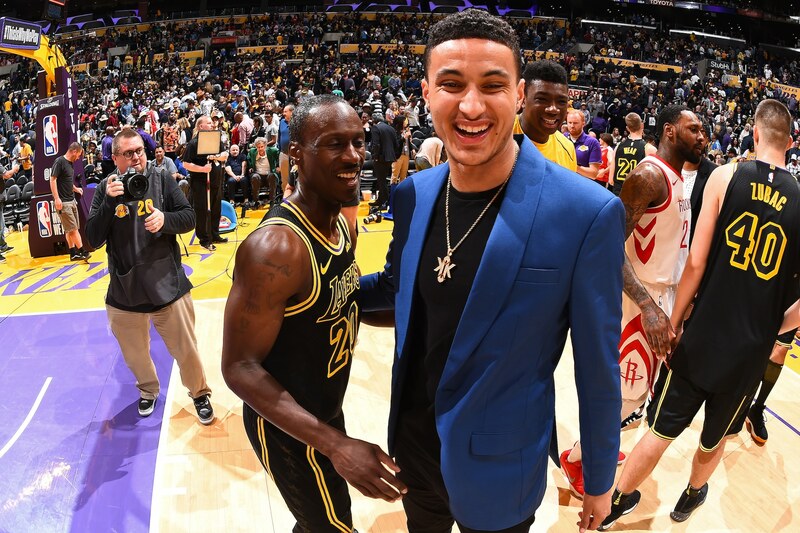 LOS ANGELES, CA - APRIL 10, 2018: Kyle Kuzma and Ingram smile after the game against the Rockets. 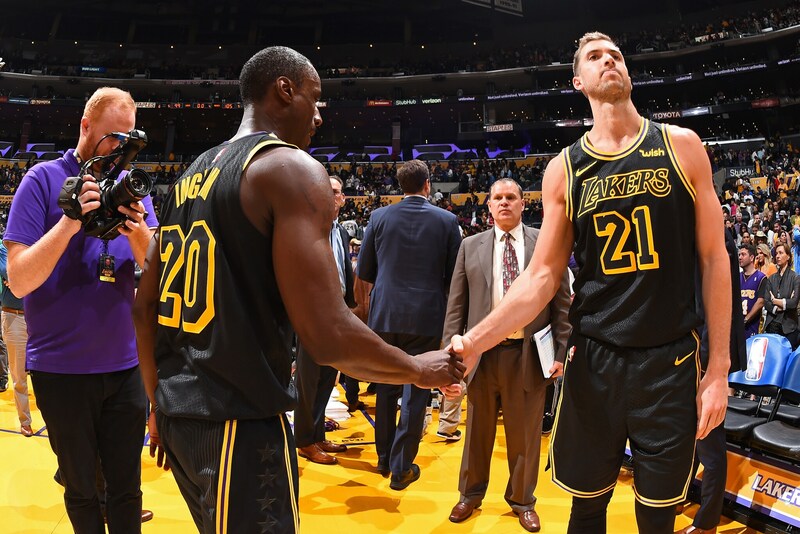 LOS ANGELES, CA - APRIL 10, 2018: Ingram and fellow South Bay call-up Travis Wear shake hands after the game against the Rockets. 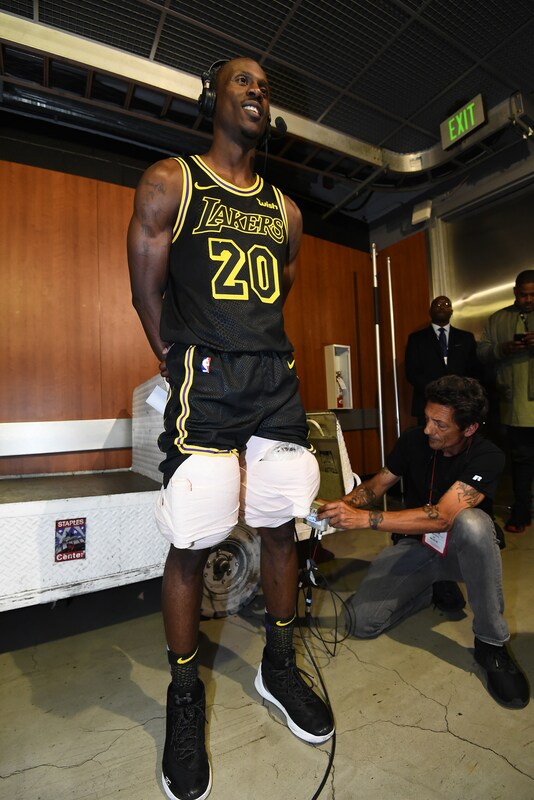 LOS ANGELES, CA - APRIL 10, 2018: Ingram talks to the broadcast after the game against the Rockets. 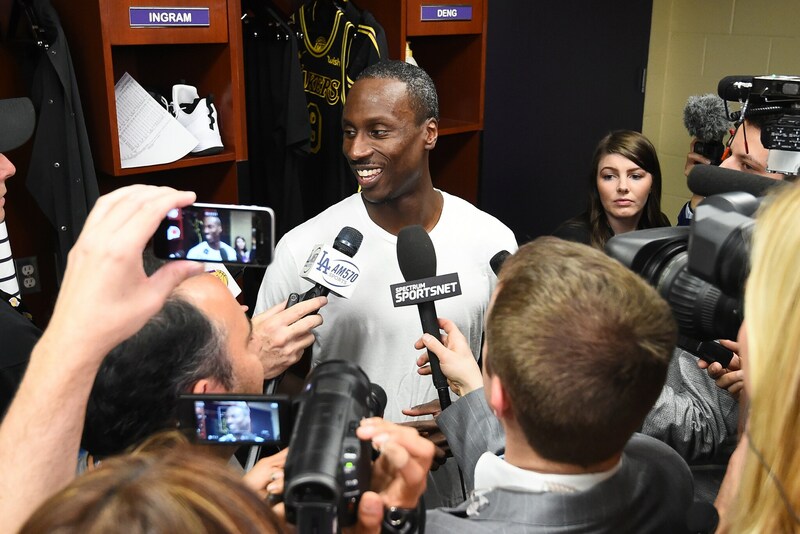 LOS ANGELES, CA - APRIL 10, 2018: Ingram speaks to the media me against the Rockets. 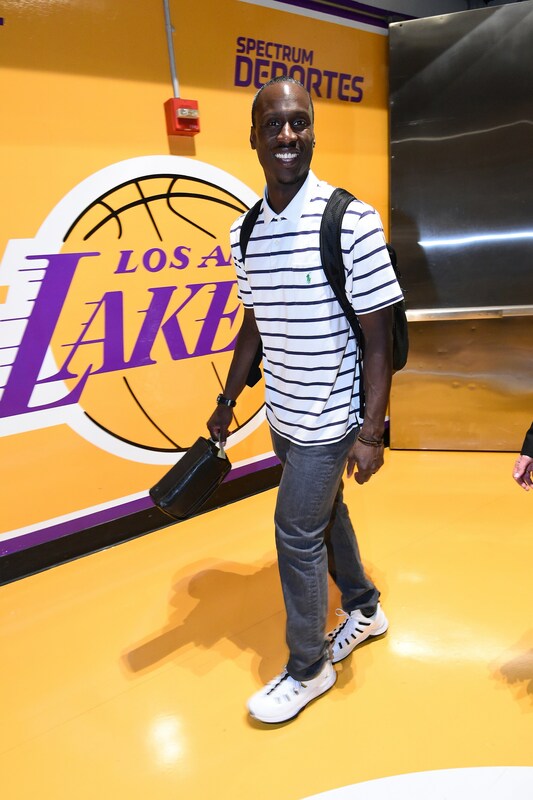 LOS ANGELES, CA - APRIL 10, 2018: Ingram leaves his first NBA regular season game with smiles. 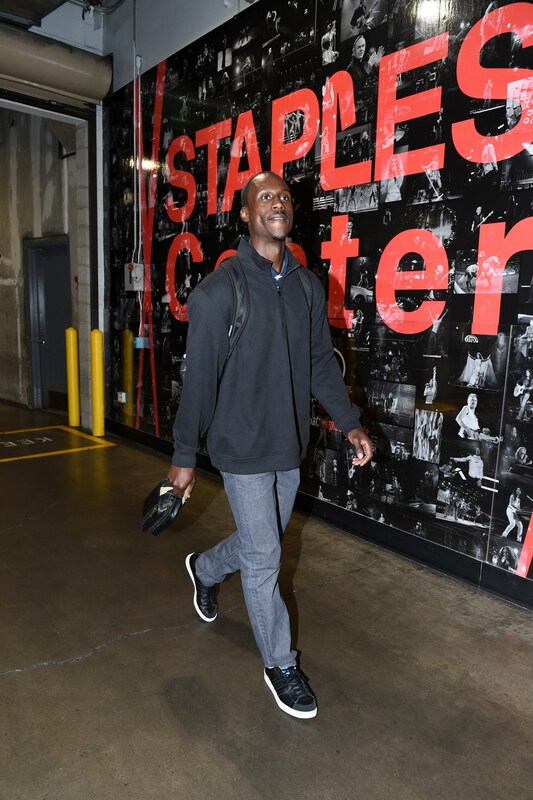 LOS ANGELES, CA - APRIL 11, 2018: Ingram arrives at STAPLES Center before his second career NBA game, against the L.A. Clippers. 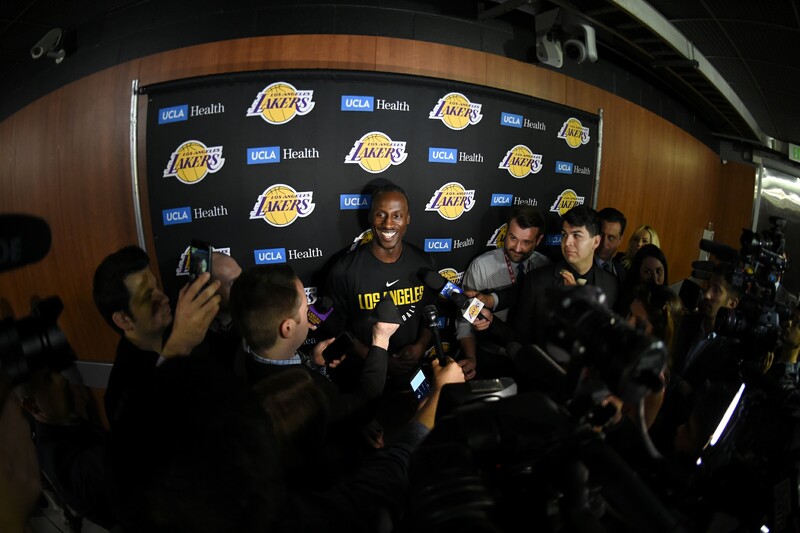 LOS ANGELES, CA - APRIL 11, 2018: Ingram speaks to the media before his second game with the Los Angeles Lakers, against the L.A. Clippers. 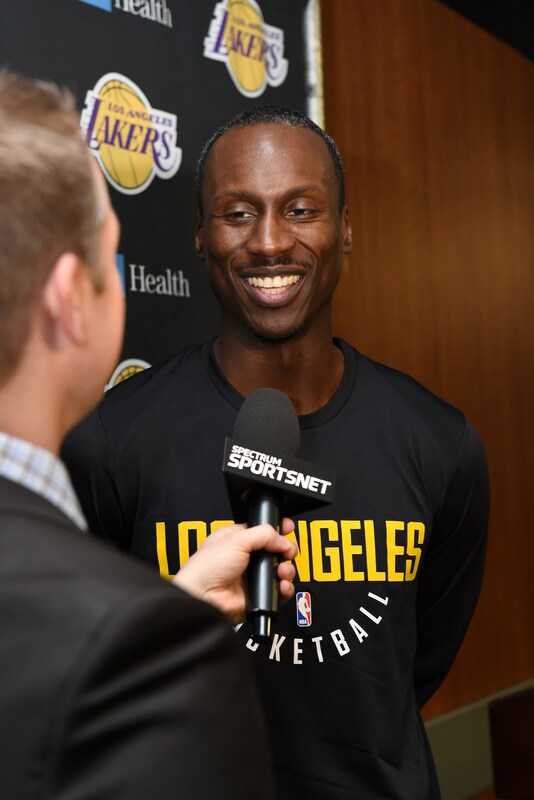 LOS ANGELES, CA - APRIL 11, 2018: Ingram speaks on the broadcast before his second game with the Log Angeles Lakers, against the L.A. Clippers. 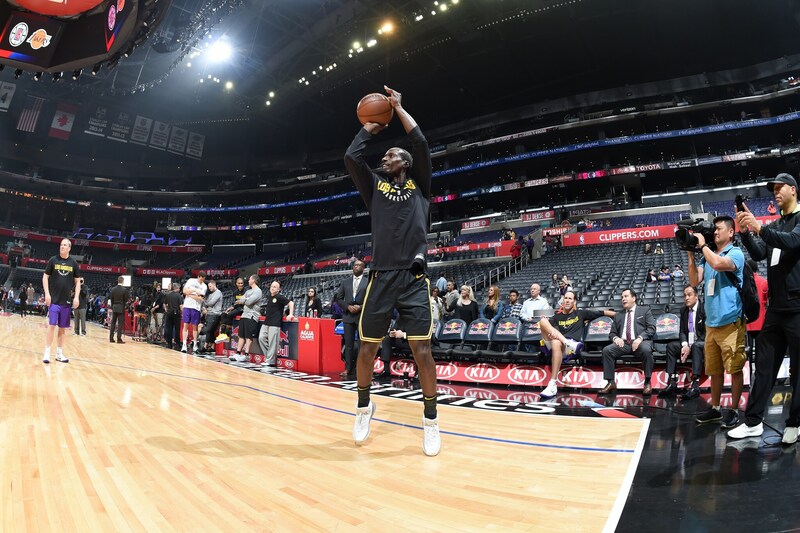 LOS ANGELES, CA - APRIL 11, 2018: Ingram warms up before the game against the L.A. Clippers. 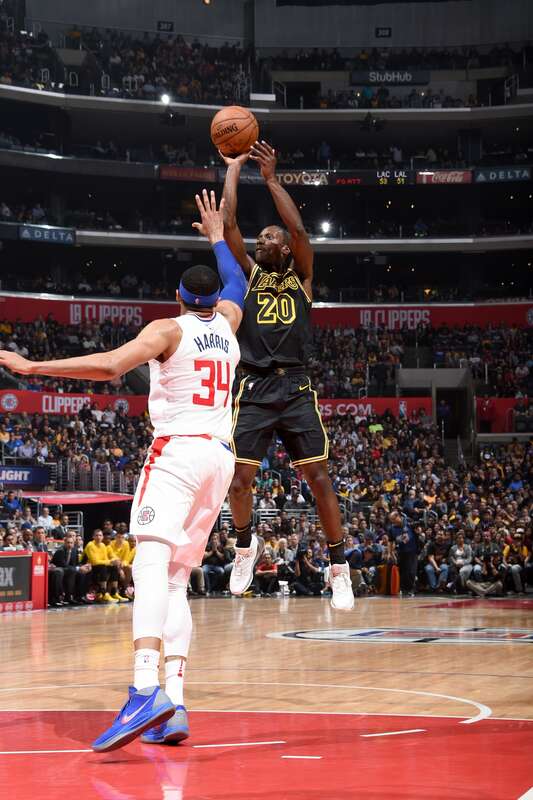 LOS ANGELES, CA - APRIL 11, 2018: Ingram shoots the ball against the L.A. Clippers. 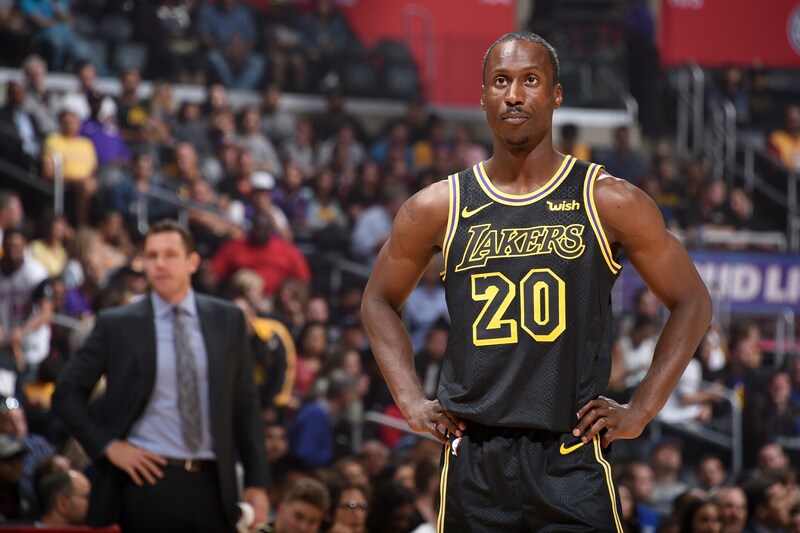 LOS ANGELES, CA - APRIL 11, 2018: Ingram looks on during the game against the L.A. Clippers. 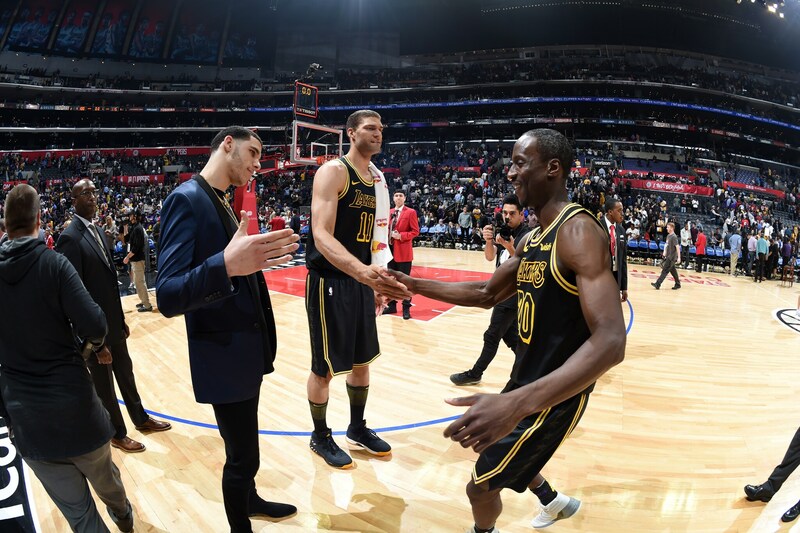 LOS ANGELES, CA - APRIL 11, 2018: Lonzo Ball, Brook Lopez and Andre Ingram shake hands after the game against the Clippers.